After Round 5 in the Top 16, six of the eight teams that will fill the playoffs are already known. One of the teams that qualified this week was Hapoel Bank Yahav Jerusalem, whose Tarence Kinsey earned weekly MVP honors thanks to a performance index rating of 33, the highest this week. 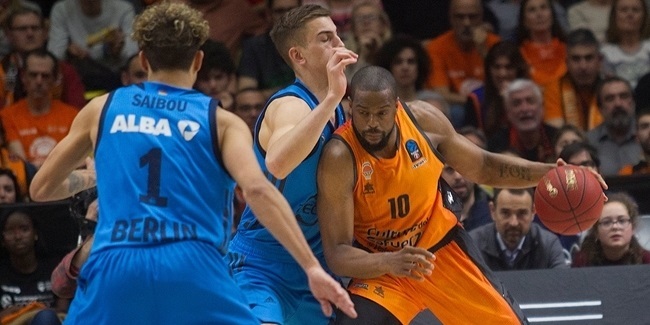 Kinsey led his team to a home win over Lietuvos Rytas Vilnius with a EuroCup-best 23 points (4 of 6 twos, 3 of 6 threes and 6 of 6 free throws), 5 rebounds, 3 assists and 3 steals in a great all-around performance. Kinsey was followed this week by UCAM Murcia's Nemanja Radovic, who had a PIR of 31 that was not enough to avoid elimination for his team. Radovic netted 26 points and pulled 6 rebounds in his best game of the season. Completing the top individual performances of the week were last week's MVP, Khimki Moscow Region's Alexey Shved (PIR 30), Cedevita Zagreb's Miro Bilan (29) and Evgeny Valiev of Zenit St Peterbusrg (27). 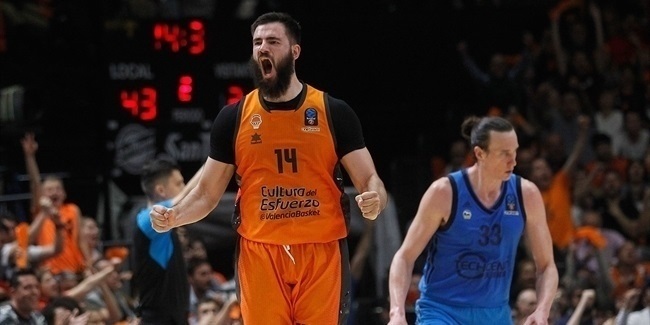 Radovic was this week's top scorer with his 26 points, which was also a career-high for him in the EuroCup. Kinsey followed him with 23, but two more players also scored 23 points apiece this week: Shved and Lietkabelis Panevezys' Ben Madgen. Nizhny Novgorod's DeAndre Kane kept adding great numbers to an already fine season and he became the top rebounder of the round with his 12 boards, a new top personal mark for him in the EuroCup. Stefan Markovic of Zenit remains the assists king in the competition this season and he proved it one more week with his round-high 13 assists (he keeps leading the competition with an average of 9.5 per game). 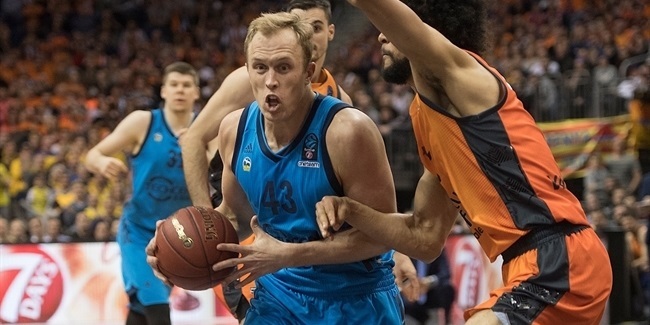 On the defensive end, several players managed to get 4 steals a piece, while four players were big under the glass, sharing the 2 blocks mark as the best this week: Zenit's Anton Pushkov, Unicaja Malaga's Jeff Brooks and Alen Omic and Khimki's Sergey Monia.